With over 40 years experience insuring music festivals and writing Special Event Insurance policies, we understand that planning and executing a special event or music festival can be a costly endeavor. With our Special Event Insurance, coverage can be provided on a short-term basis for single events or on an annual basis for multiple events. When your company adds a Special Event Insurance policy through MFE Insurance, your special event or music festival is protected against claims of bodily injuries to others, lawsuits, damage to the rented property, and more. General Liability Insurance, also called Commercial Liability Insurance, protects you and/or your company from claims of bodily injury and property damage that may arise during your special event. General Liability Insurance, as a form of Special Event Insurance, covers third-party lawsuits that may occur during a claim. A “third party” can be anyone other than the insured’s employees and workers (e.g., a staff member working the special event). With our General Liability Insurance, your company can rest easy knowing that special event is protected from a wide range of potential liability issues. It is imperative to add a General Liability Insurance policy for your special event, as it covers accidents involving those who are not employed by your business. If they make a claim against your company, your policy will step in to pay for attorney fees, settlements, and any other costs relating to the lawsuit. It may even cover the injured party’s immediate medical expenses and the cost of repairing or replacing their damaged property. For example: An attendee of you special event trips and falls over a set of wires used to power a stage you are using. If they sustain any bodily injuries while attending your special event, it is within their right to sue you for medical expenses and damages. Depending on how serious the injuries are, their medical expenses and your legal fees can become incredibly expensive. Say the attendee break their arm from tripping over the wires, which affects their quality of work, your company could be facing major fees. If that happens, you can make a claim on your General Liability policy to cover litigation costs. Inland Marine Insurance covers your company’s property while in transit for your special event. The policy covers moveable property that is required for your special event, such as video cameras, speakers, lighting setups, etc. Inland Marine Insurance policies at MFE Insurance cover your movable production property whether it is being transported between special events, or in use during your company’s special event. For companies that host any type of special event, Inland Marine coverage protects your equipment that is in constant motion between events. Each Inland Marine Insurance policy is tailored by our Special Event Insurance brokers to your specific needs, but typically the following are covered: cameras, speakers, computers, lighting equipment, props, microphones, other electronics, rented equipment, accounts receivable, and trailers to transport your special event equipment. For example: During a performance at your special event, the artist runs into a speaker on stage, completely destroying it. The speaker would then be covered up to the limits on your policy (usually the replacement value). The MFE Commercial Automobile Insurance policy covers owned, hired, borrowed and or non-owned vehicles used during your company’s special event. 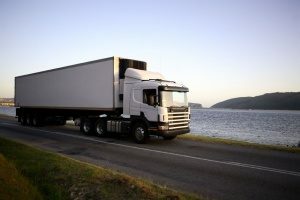 There are two main components to Commercial Automobile coverage, Liability and Physical Damage. Auto Liability covers your company against bodily injury and property damage done to others while the Physical Damage (comprehensive & collision) covers your company against theft and damage to the vehicle. If any special event staff member or employee working for your company uses their own vehicle or a rented vehicle, you and your company are responsible for the vehicle and the people in the vehicle. You and your company are also responsible for any vehicles that are involved in an accident. For example: One of your employees or special event staff members decides to take their personal vehicle to pick up lunch. During the car ride, your employee or special event staff member gets into an accident and causes damage to another person’s body and car. The MFE Commercial Automobile Insurance policy covers the damages caused to both parties. Workers Compensation Insurance is a program mandated by the state, which consists of payments (required by law) to be made to a special event staff member or employee who is injured or disabled in connection to their work. 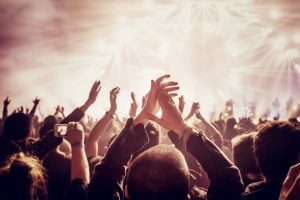 The Special Event Insurance consultants at MFE Insurance provide insightful knowledge about the entertainment industries rules and regulations. This gives you and your company a better understanding of the policy and ensures that your company and special event is properly covered. Our number one priority is to provide your company with the right amount of coverage needed, while providing competitive rates. The Workers Compensation Insurance program coverage varies on a state by state basis, so it is best practice to speak with an MFE Insurance broker for a more insightful look into your states specific coverage. Regardless of the varying state coverage details, Workers Compensation Insurance will cover the medical costs from the injury or illness, replacement income, costs to retrain, compensation for any permanent injuries, and benefits to survivors of workers who are killed during your special event. For example: A special event crew member falls over a set of wires during the special event and dislocates their shoulder. The MFE Workers Compensation Insurance policy will cover the medical expenses and the wages the special event crew member would have received during the special event.